Stanley M. Porter, DDS and Peter J. Carroll, DDs are our dedicated dentists who offer comprehensive dental care in Philadelphia. Our practice has provided a wide range of dental services to our Rhawnhurst community for over 20 years. We have extensive experience and training in treating patients of all ages, and our mission is to help every patient have a healthy and beautiful smile for a lifetime. Our patient-first philosophy ensures each patient is given the attention and care they deserve. Drs. Porter & Carroll, PC is a dental office that stands by its work when helping people near Lawncrest, Rockledge, and Somerton. Every patient has a unique smile, and each smile requires unique solutions. Drs. 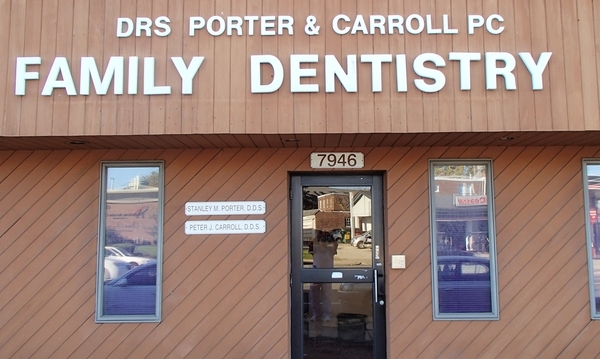 Porter and Carroll seek to find the root cause of dental issues and design a tailored solution. Each of our services is approached with a conservative aim that protects natural teeth to keep the smile healthy and strong. With a thorough examination process that involves digital X-rays, intraoral cameras, and oral cancer screening, we seek to establish our personal knowledge of your smile to customize future care. As longstanding dentists in our community, we have seen young patients grow up and then return to our practice with their own children. Generations of families have returned to our practice to receive consistently good dental care. Children are welcome as soon as their teeth begin to show, and parents can join their child while we examine their smile. Adults can rely on us to provide cosmetic dental services that keep their smiles beautiful. Seniors are welcome, too, for we provide gentle care and dental restorations to restore full function in the smile. All of our patients receive tailored dental education that aids them in caring for their unique smile while at home. Our doctors love to help people have healthy smiles. Patients near Lawncrest, Rockledge, and Somerton can benefit from the transformative services we offer. Call our practice today, or request an appointment online.